Thanks to my fellow blogging friend, Natalie of Blonde at Heart , I discovered another great giveaway! Visit Cortney of Cortney Clegg Photography‘s blog for a chance to win a new blog design! 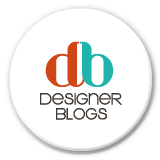 I visited Designer Blogs site and checked out some of their custom of blog layout designs and they are simply elegant, chic, and beautiful. Now, if you feel how I feel, and can use a “blog-makeover” feel free to enter but hurry it ends this Friday!